In 1976, the Ford twins created a unique San Francisco beauty boutique with a whimsical candy store atmosphere. The shop grew famous for delivering quick fixes for every gal's peskiest beauty dilemmas, and with a "double" dose of wackiness mixed with know-how, the twins successfully built Benefit Cosmetics into a global beauty brand. The "friskiest" beauty brand now has over 2,600 counters in more than 30 countries. 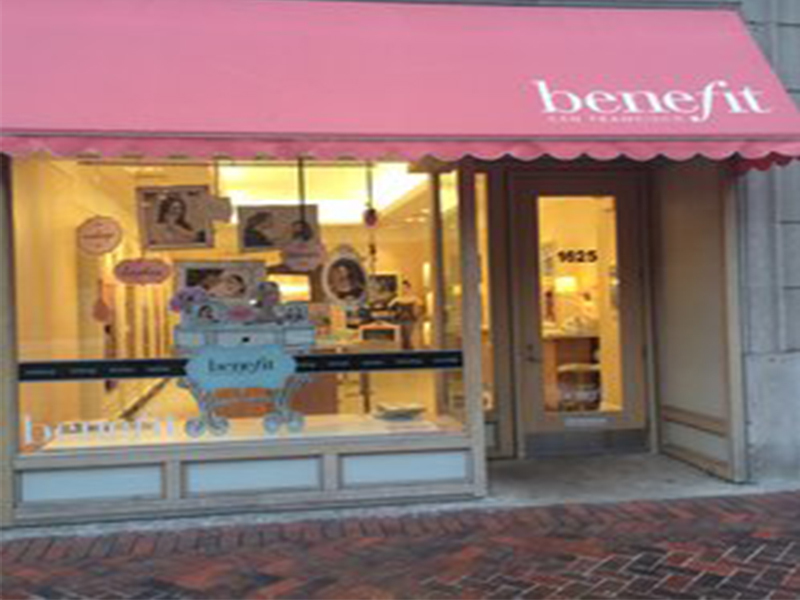 The Downtown Evanston location offers eyebrow shaping, tinting, facial wax, body wax, bikini wax, airbrush tan, lashes and makeup application. Call to make an appointment or walk-in.